Even though every time there are some popular colors for new autumn and winter, black is always on the list. In winter black trench coats are must haves. They suit almost every person and are very easy to go with, and the best thing is they enable you to create stylish and slimming looks in the easiest way. 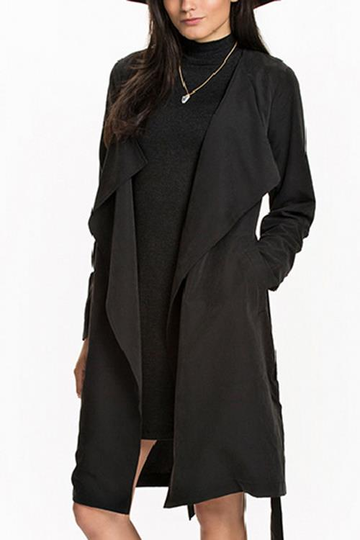 Black trench coats are unisex and versatile. No matter they are oversized or tight fitting, they can perfectly fit in various styles and go well with other fashion items, such as dresses, skirts and jeans. But once you put on a black trench coat, you will look completely different from your daily looks. Dresses are very good choice for your black trench coats. 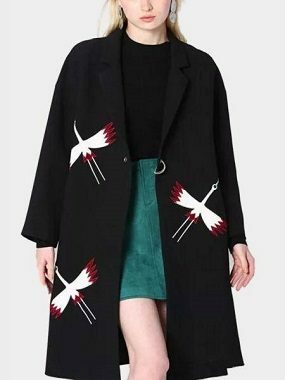 If you want to stay beautiful and warm, to wear dresses or fashion skirts inside your coats is a very smart way to do it. For instance, a pink plaid skirt to go with a black trench coat can show your fashion taste at most and bring your brand new outlook. 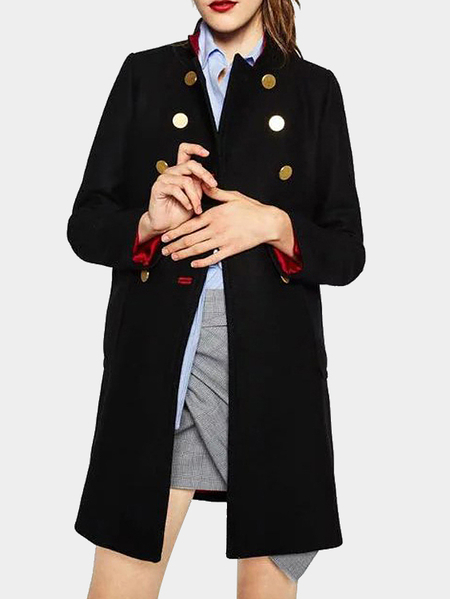 Turtleneck sweater and trench coat are the most practical pair in this season because it suits various occasions and every person as well. This kind of pair is something that can never be wrong if you do not make it wrong on purpose. And as for colors, black or camel is the most classic one. And there are wide leg pants which are quite popular in one or two years. Wide leg pants and trench coats can be one of the chicest pair in this winter. Their loose cutting and concise design coupled with stylish trench coats create a simple office lady fashion. And you are free to choose either classic colors or bright colors, which depends on what kind of style you want to build.